I am transitioning my work, and most likely my future blog posts, which I intend to update more frequently with new content, to my new website. Please go take a look, sign up for e-mails if you want, and take the opportunity to purchase my book from the links provided. Right now, I have a promotion on Amazon for the Kindle edition for just $7.99! The paperback is still $12.99, a great deal for those needing this type of support or information. The new website is at kirkrehn.weebly.com, eventually I will pony up the money for a true URL. You are also free to donate using the donation link, which, along with book revenues, provides me the ability to market my book to a more targeted audience and to support my outreach efforts to vulnerable communities. Yes, you can just buy the book and I’ll still get paid, but I thought I’d offer both options, considering the amount I need to raise to support more book sales. I’d love some feedback on the website, I’m very new to website building, and obviously using a drag-and-drop editor, but there is quite a bit of flexibility in designing it, and I’d appreciate constructive feedback. Thanks again for being a loyal follower. See you on the new website! Facebook, Amazon, Instagram and kik! 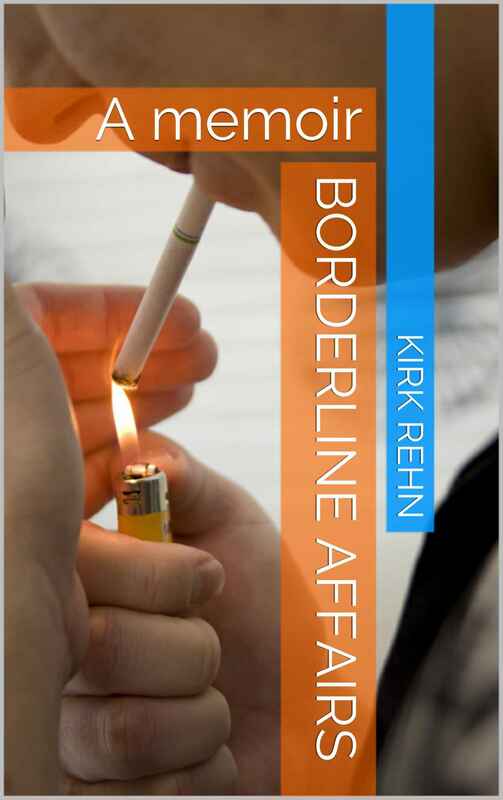 Hey guys, I just uploaded a new segment from my book “Borderline Affairs.” I hope you enjoy reading it! Please, if you have the time, visit my Facebook page, and click “Like,” and don’t forget that my book remains available on Amazon in e-book and paperback format for a very reasonable price, and I encourage you to share it widely. There is also a direct link from my Facebook page to purchase the book. I welcome any and all feedback. Please note, I have opened an Instagram account to encourage posts and feedback from the community, and I also have a new kik account to chat with me directly and discreetly. I hope to hear from you! I feel like the social media world is my best outlet and the best way to find others who are also reaching out for help and assistance. I’m not here to provide you with a cure, but I can assure you that life gets better, that life is worth living, and that, one day at a time, you too can make it. I did, despite all odds, and I know you can too. Cheers!